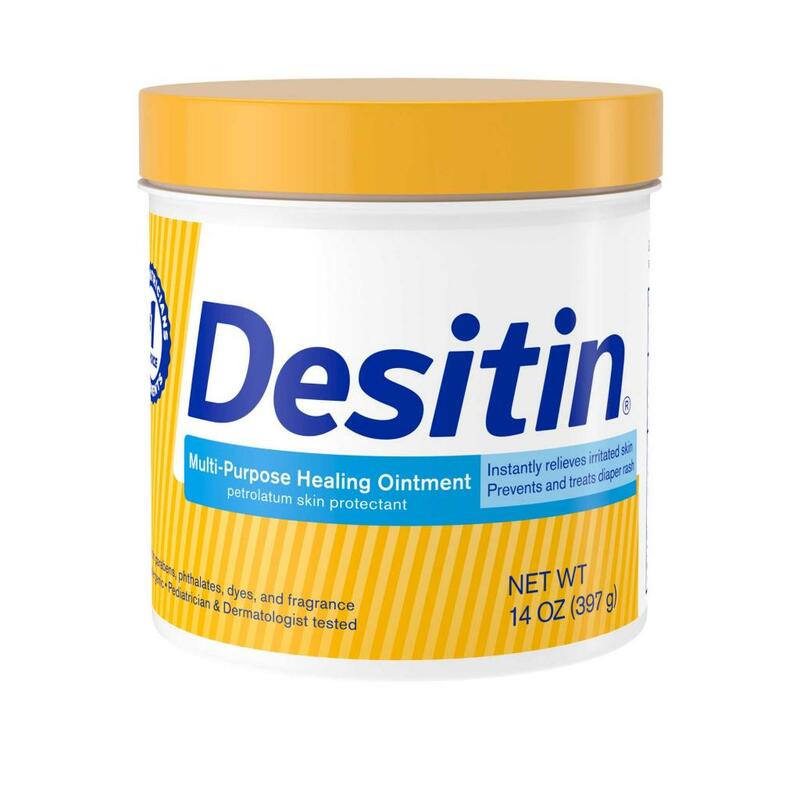 DESITIN® Multipurpose Healing Ointment has many uses for infants, kids, and adults. It instantly relieves irritated skin and prevents and treats diaper rash. With its smooth, easy application, this clear barrier ointment is ideal for soothing cracked, chafed skin, relieving chapped lips, protecting cuts, scrapes, and minor burns, and as a dry cuticle treatment. Free from parabens, phthalates and fragrances this dermatologist-tested baby ointment is also the #1 choice of pediatricians and parents and is safe for use on sensitive skin. DESITIN® Multipurpose Ointment is hypoallergenic and pediatrician tested, and free from parabens, phthalates, dyes, and fragrance. 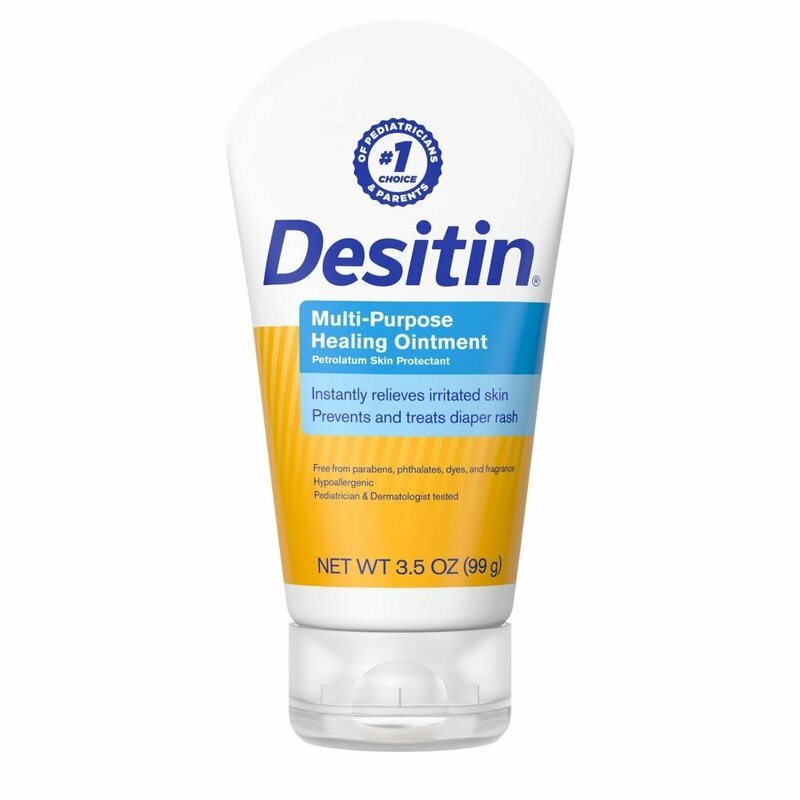 When using DESITIN® Multi-Purpose Ointment, do not get into eyes. Stop use and ask a doctor if: condition worsens, symptoms last for more than 7 days or clear up and occur again within a few days. Do you consider DESITIN® to be an expert in baby care? Is DESITIN® a brand you trust? We love using this product as it goes on clear and cleared our baby's diaper rash in a day. It seems like it is less messy than the regular Desitin cream. My son had a bout of diaper rash at two weeks. We started using the ointment and he hasnt had it since. Hes 4 weeks now. This stuff is just amazing, not just for rash , chaffing, cuts etc etc anything happens I tell my husband put this on it. Not just for our little girl but we have used it as well it is a miracle cream for sure! Best cream I've ever used!! I absolutely love the extra cream rapid relief Desitin. I Jut wish you could print coupons right from their site. thank you Desitin! In January I found out my 2 year old had eczema. I used a whole tub of vasoline and it didnt really help. I moved on to other over the counter baby eczema creams and washes with none of it helping. By the suggestion of my sister I used Desitin and it works WONDERS! I swear this is by far the BEST eczema cream and will continue to use it as long as he has eczema! I have also used it for diaper rashes and it works for that too, but we dont get those very often. I buy it as cream for his skin. Hi momof3boys. Thanks for taking the time to review our product. We'd love to speak with you to learn more about your experience. Please call our Consumer Care Center at 1-866-565-2229. Our care specialists are available Monday through Friday 8am to 8pm EST. We look forward to speaking with you. Love this product.! More than just a diaper rash cream. Use it for rash created under neck called drool rash. Had it for about a month. Decided to use it last night on the rash and cleared it up the next day. Now I use it twice a day since she drools a lot due to teething. Thanks for your feedback, MrsBanks09! We love hearing how our consumers are using our products. We would like to speak with you directly to hear more about your experience. Please call our Consumer Care Center at 866-565-2229. We are available Monday through Friday 8am to 8pm EDT. We look forward to hearing from you! Treats baby Eczema!!!!!! Best product out there!! !